I am thrilled to join in with some other fabulous bloggers for a monthly blog hop- #CreativeBuzz. Every 4th Thursday of the month, we will share projects and ideas surrounding a certain theme. Check out my project and then you can check out what the other bloggers have created at the bottom of the post. This month theme was numbers. 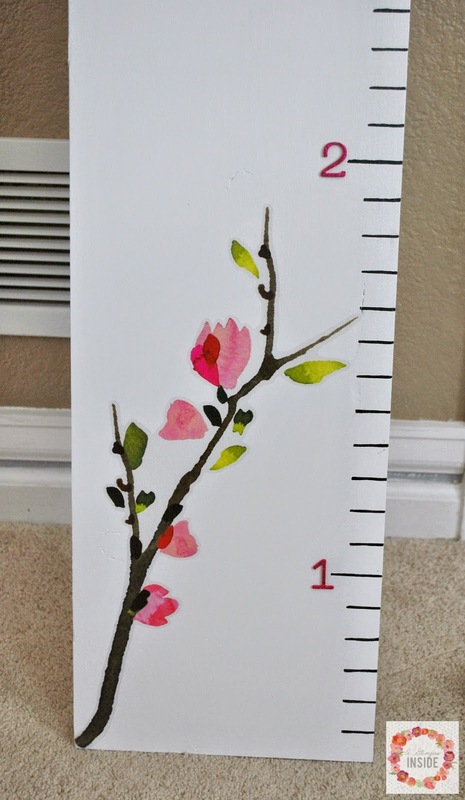 I had no idea what I wanted to make until I remembered that I have been wanting to make a growth chart FOREVER now for the girls so this was the perfect time to make it! It was easy as well! I went to Lowes and bought a piece of wood that was 10 in. wide and 6 ft tall. 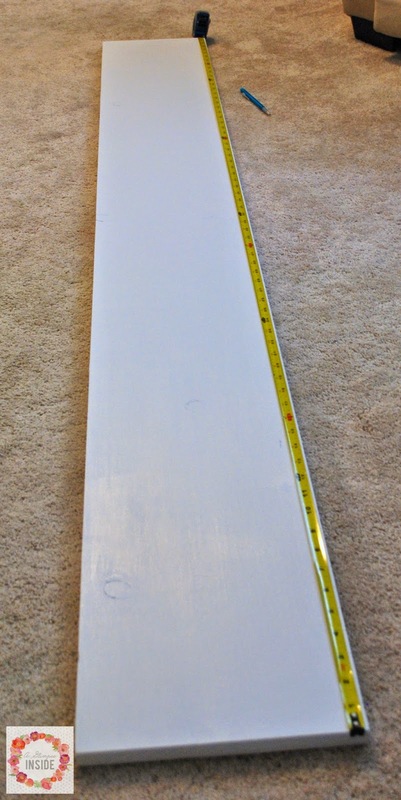 I knew I was going to paint it white so I didn't care about the knots in the wood so I bought a cheaper board. This was only $10. 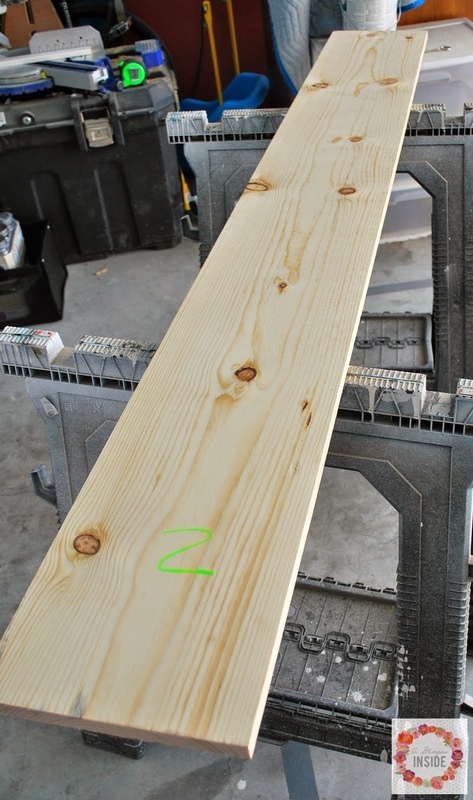 If you want to stain your chart, you can buy a piece of pine for a little more money. I brought it home and gave the whole piece a good sanding to make it smooth. Then used a piece of tack cloth to remove any particles before coating it with a coat of oil base primer. 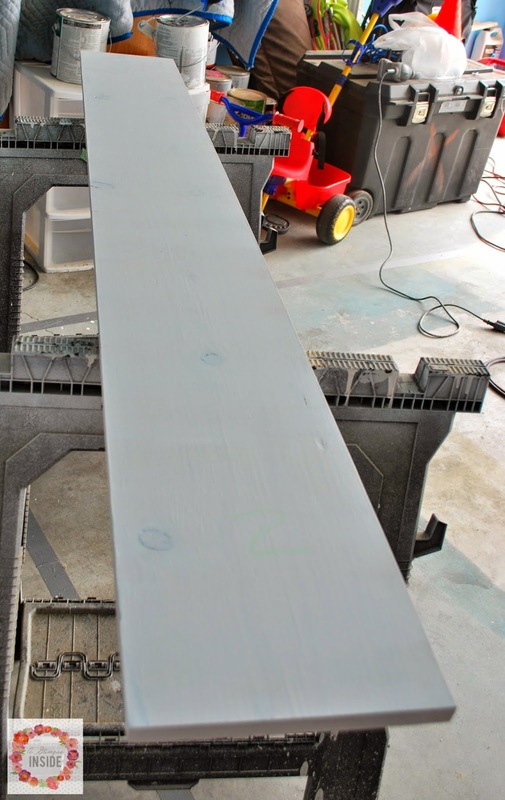 I gave two coats to the front side of the board to ensure that the knots didn't shine through. Once the primer was dry, I gave it another sanding and wiped it clean again. 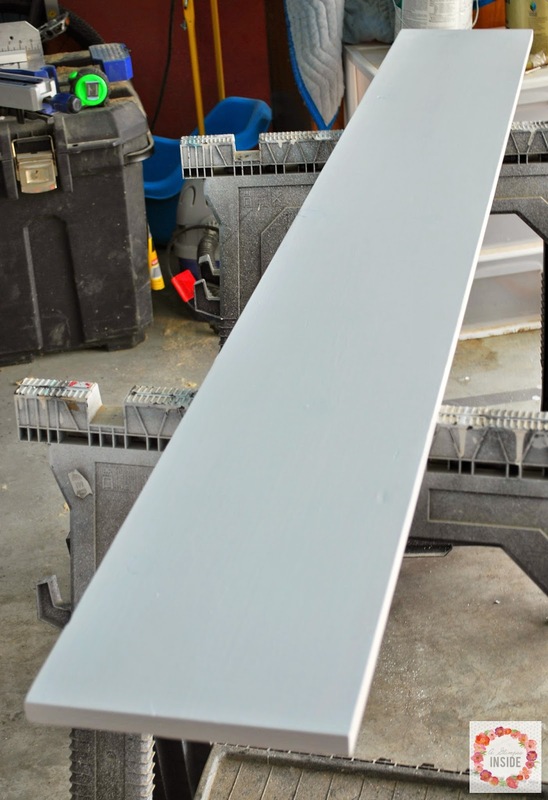 I then used Valspar Ultra-White paint in a semi-gloss for the final coats. Again, giving it two coats on the front for a nice, clean finish. Once your board is dry, it is time to mark of the lines for the ruler side. 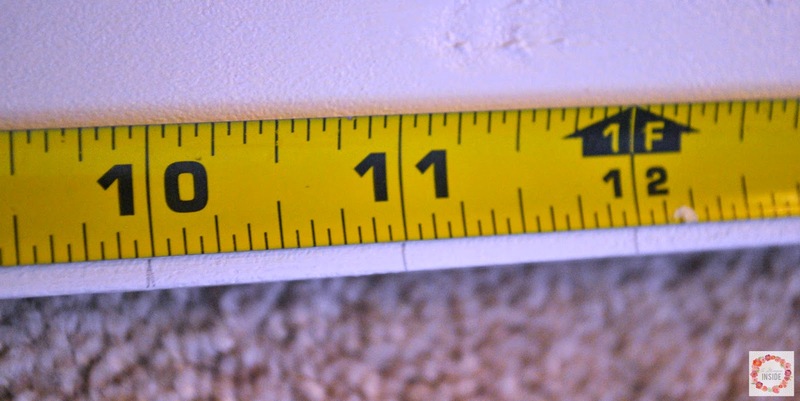 I placed a measuring tape along the side I wanted the ruler on and grabbed a pencil. With the pencil, I marked every inch up the whole board. Then where each foot mark was, I made the line slightly longer so I knew that was for each foot and not an inch. 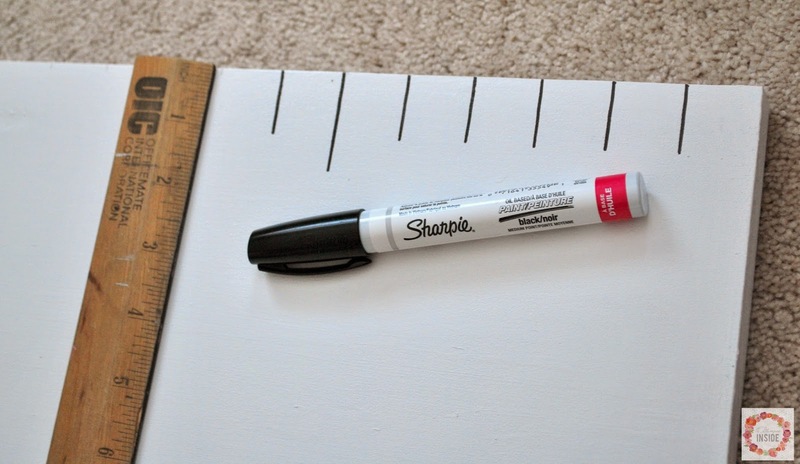 I took a Sharpie paint marker in black to make the lines on the board. I made each line 1 in long and then the foot marks I made them 1 in and a half. I made my first Foot mark 6 inches on the board. Our baseboards are 3 inches tall and I wanted the board slightly above it. When I hang it on the wall, I will make sure the 1 ft. line is at exactly 1 ft from the ground. Here is a shot of all the lines complete. Since I was making this for the girls, I wanted to customize it with their names. 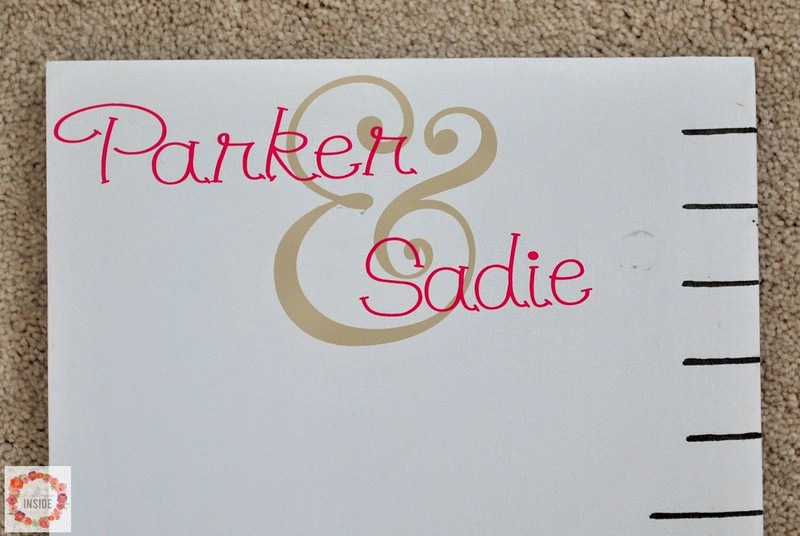 I used some vinyl to cut out their names and an ampersand symbol and applied it to the top of the board. Next, came the numbers and the embellishments. 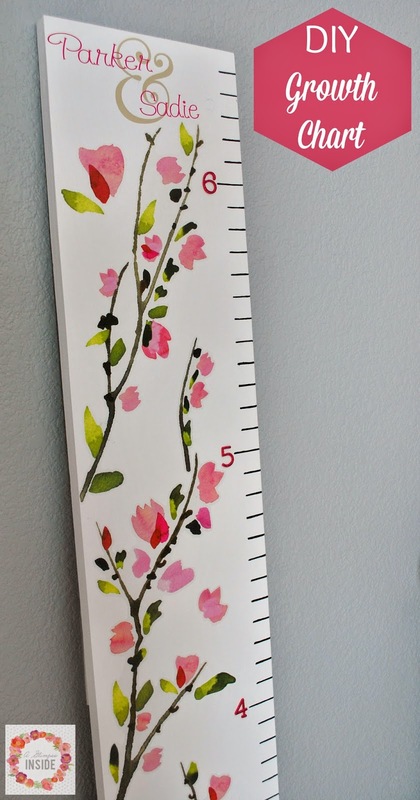 I was debating on what I was going to do... cut a vinyl design and apply it or hand paint something on it and then while browsing Target, I spotted this wall decal and knew I wanted to use it! Then the numbers were another great debate! I wanted small wood or chip board letters but couldn't find ANY small enough to work. 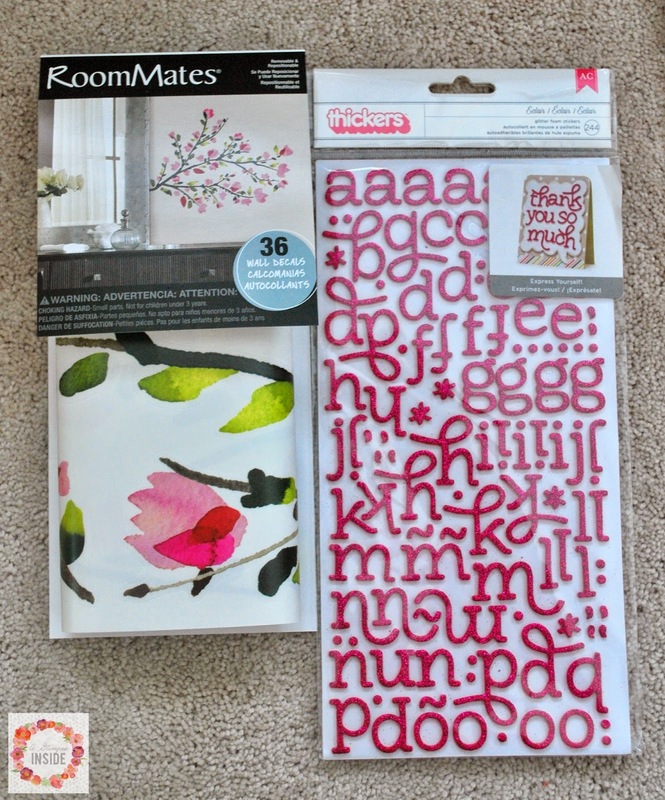 I found these Thickers Stickers also at Target and they actually had numbers along with the letters so it was perfect. I like that they are raised off the board a little and they are slightly glittery. Plus, the pinks match perfectly! I applied the numbers by each foot mark on the board. Here is board with the names and numbers applied. Time to apply the decal. The decal had numerous different branches, leaves and flowers so I just looked at all of them and determined what I wanted to start with. I started at the bottom of the board and worked my way to the top. I filled in gaps with smaller items and if I didn't like something where it was, I just took it off and replace it with another piece. I kept the design away from the lines so I could write and fill in the information for the height of the girls when we measure them but you could overlap the lines if you want. I then stopped the design just below their names. I can't wait to get it up on the wall... once I figure out where to hang it in this darn house. We have such an open floor plan and so many windows that wall space is limited. But I plan on going back and adding all of their measurements from when they were babies and from here on out. Be sure to check out all the other fabulous Number ideas from the #CreativeBuzz Bloggers! 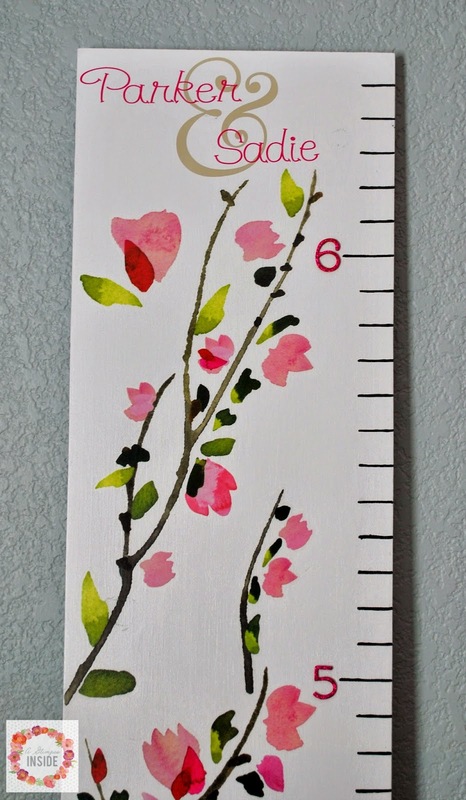 Your growth chart looks so pretty!! I made one for my kids and stained it like you suggested earlier but I think yours is pretty clever and unique. I bet it looks beautiful on the wall. We measure the boys height every year on their birthday. One of my favorite things I've made.